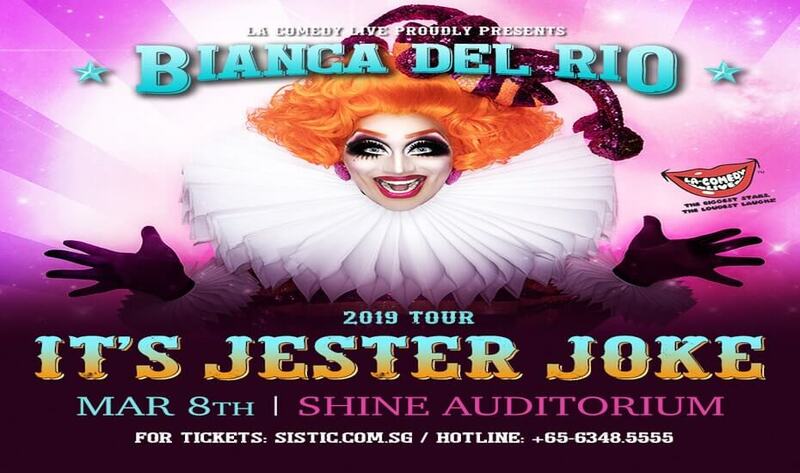 LA Comedy Live is excited to announce that the ‘Joan Rivers Of The Drag World’, Bianca Del Rio, will be returning to Singapore with her brand new show, ‘It’s Jester Joke’! Don’t miss out on seeing the Fabulous Bianca LIVE! Get your tickets at Sistic!